The last night of the trip with Coates Wildlife Tours was memorable and to celebrate the ending and parting from interesting travel companions we built a camp fire. 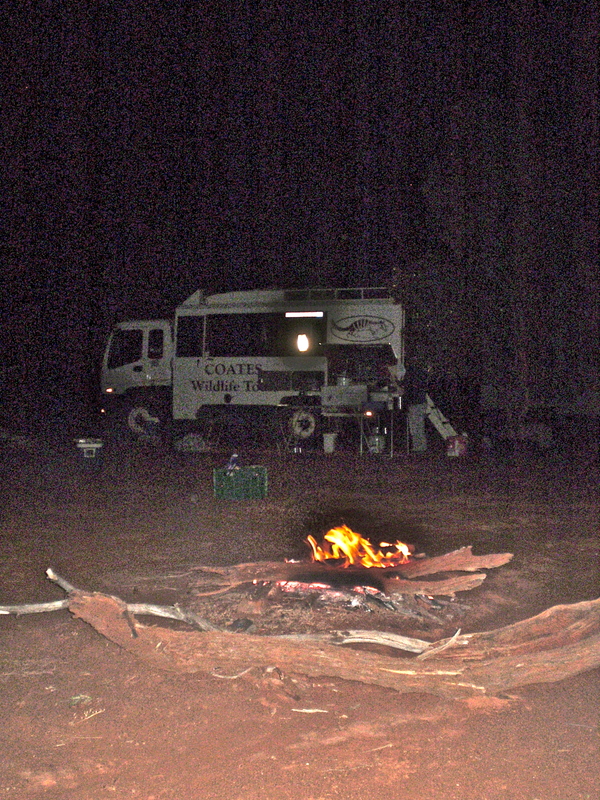 The last camp and meal were celebrated with wine, song and ditties in which we thanked our tour guide Wayne whose knowledge of birds alerted us to every movement among foliage, rock and spinifex, and Director, driver and cook Tom whose skills kept us energised, safe, together and on time. We also had the opportunity to view birds through Wayne’s telescope and identified almost 140 species. Plants also were a major focus as well as fauna. Many different reptiles caught our attention, I remember especially the Golden Monitor lizard in Dales Gorge who wasn’t fazed by people and cameras. With my photographs, frottages and rock samples I anticipate many hours in my studio tackling artworks that capture aspects of the landscape. The geology of particular rock formation influenced the surface topography over time. I try to replicate aspects of these processes with paint textures and different mediums in which the paint is diluted or thickened. 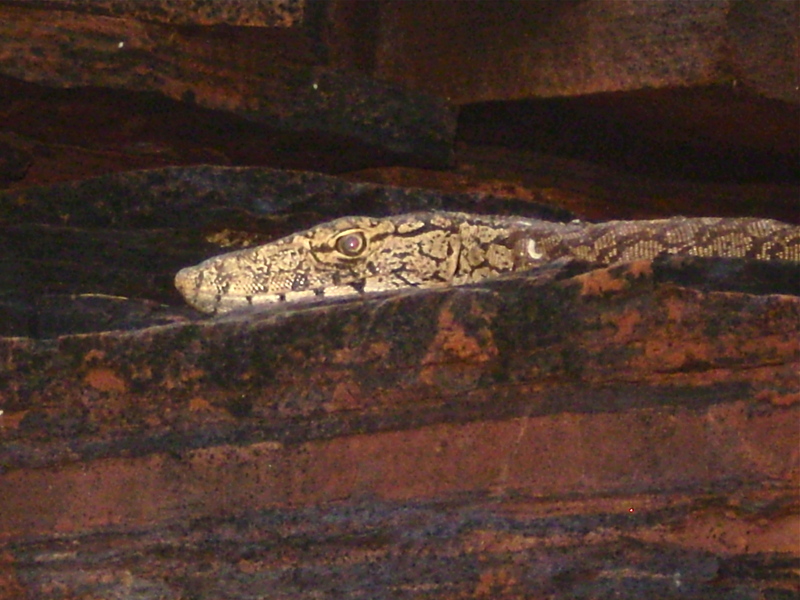 Categories: Preliminary photographs | Tags: campfire, golden monitor lizard, last night | Permalink.